MAGNETI MARELLI IN TANK FUEL PUMP MAM00021. VENTO (1H2) / 1991.11 - 1998.09. CADDY II Estate (9K9B) / 1995.11 - 2004.01. CADDY II Box (9K9A) / 1995.11 - 2004.01. CADDY II Pick-up (9U7) / 1996.06 - 2000.12. MAGNETI MARELLI IN TANK FUEL PUMP MAM00013. Magneti Marelli is an international Group committed to the design and production of hi-tech systems and components for the automotive sector. 1.9 TDI Diesel 1998-10 - 2005-09 1896 66 90. 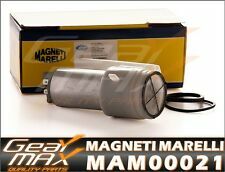 MAGNETI MARELLI IN TANK FUEL PUMP MAM00006. 50 Estate (LW) / 1992.04 - 1997.10. V40 Estate (VW) / 1995.07 - 2004.06. S40 I (VS) / 1995.07 - 2003.12. S70 (P80_) / 1996.11 - 2000.11. C70 I Coupe / 1997.03 - 2002.09. VW SHARAN (7M8, 7M9, 7M6) 2.8 VR6. VW SHARAN (7M8, 7M9, 7M6) 2.8 VR6 SYNCRO. VW SHARAN (7M8, 7M9, 7M6) 1.8 T 20V. VW SHARAN (7M8, 7M9, 7M6) 2.0. VW VENTO (1H2) 2.8 VR6. VW VENTO (1H2) 1.6. VW VENTO (1H2) 2.0. VW GOLF Mk IV (1J5) 1.9 TDI. VW TOURAN 2.0 TDI 16V. VW TOURAN 1.9 TDI. VW SHARAN (7M8, 7M9, 7M6) 1.9 TDI. VW GOLF IV (1J1) 1.9 TDI. SEAT ALHAMBRA (7V8, 7V9) 1.9 TDI. SEAT LEON (1M1) 1.9 TDI. FORD GALAXY (WGR) 1.9 TDI. DESIGNED FOR CARS Magnetti Marelli is a manufacturer of automotive parts to the car industry therefore we can assure you are buying quality product. 10/1991 1781 95 129 PL Saloon. VW 191906091B. VW 191906091D. VW 191906091J. VW 191906092B. VW JETTA II (19E, 1G2, 165) 1.8 16V 08/1986 -. VW JETTA Mk II (19E, 1G2, 165) 1.8 16V 08/1986 -. VW GOLF Mk II (19E, 1G1) 1.8 GTI 08/1985 -. VW TRANSPORTER V Box (7HA, 7HH, 7EA, 7EH) 1.9 TDI 1.9 L / 1896 cc 2003.04 - 2009.11 63 Kw / 85 HP. VW TRANSPORTER V Box (7HA, 7HH, 7EA, 7EH) 1.9 TDI 1.9 L / 1896 cc 2003.04 - 2009.11 77 Kw / 105 HP. VW TRANSPORTER V Box (7HA, 7HH, 7EA, 7EH) 2.5 TDI 2.5 L / 2461 cc 2003.04 - 2009.11 96 Kw / 130 HP. 11/2003 2324 125 170 AQN Saloon. APP Saloon. 07/2004 1781 132 180 AUQ. APG Saloon. 07/2004 1781 92 125 AGN. VDO E22041095Z. VDO E22041095. BCB Saloon. Manufacturer Part Number 313011313033. Use engines info and vehicle YMM compatibility chart for general guide. Strictly important to provide VIN along with your detailed request since there can be different options for your car specific tech characteristics. Skoda FABIA I (6Y2) 1.4 TDI 1.4 L / 1422 cc 2003.04 - 2008.03 55 Kw / 75 HP. Skoda FABIA I (6Y2) 1.4 TDI 1.4 L / 1422 cc 2005.10 - 2008.03 51 Kw / 70 HP. Skoda FABIA I (6Y2) 1.4 TDI 1.4 L / 1422 cc 2005.10 - 2008.03 59 Kw / 80 HP. VW 357906091. VW PASSAT (3A2, 35I) 1.6 02/1988 -. VW PASSAT (3A2, 35I) 1.8 02/1988 -. VW PASSAT Variant (3A5, 35I) 1.6 04/1988 -. VW PASSAT Variant (3A5, 35I) 1.8 02/1988 -. Will this item fit your vehicle?. Fuel Pump - Audi Vw. Vw Golf 4 - Bora - New Beetle. Volkswagen Audi Fuel Pump. Audi A3 TT: 1.6 - 1.8 - 1.8 T. NEW PART 1 YEAR WARRANTY. VAG 7M3 919 051A. VAG 7M3 919 051. VAG 7M0 919 087B. VW TIGUAN (5N_) 2.0 TDI 03/2008 -. VW TIGUAN (5N_) 2.0 TDI 4motion 09/2007 -. VW TIGUAN (5N_) 2.0 TDI 4motion 11/2007 -. VW 3C0919050C . VW 3C0919050N . VW 3C0919050P . VW 5N0919088E . VW 5Z0919050D . SEAT IBIZA II (6K1) 1.0 i 09/1996 -. SEAT IBIZA II (6K1) 1.4 i 09/1993 -. SEAT IBIZA II (6K1) 1.6 i 04/1996 -. SEAT IBIZA II (6K1) 1.8 i 03/1993 -. SEAT CORDOBA (6K1, 6K2) 1.6 i 02/1993 -. SEAT CORDOBA (6K1, 6K2) 1.6 i 05/1994 -. OEM Numbers: 3C0919050C / 3C0919050P. VW 3C0919050P. 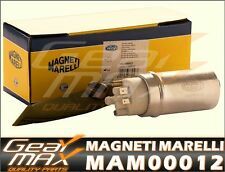 MAGNETI MARELLI 519700000021. MAGNETI MARELLI GA2065. VW PASSAT Variant (3C5) 2.0 TDI 4motion 08-2005 -. VW 3C0919050C. Fuel Type: Diesel. Will this item fit your vehicle?. OEM Numbers: 1K0906089A / 5N0906129B. AUDI 5N0906129B. VAG 5N0906129B. VW 5N0906129B. VW MULTIVAN V (7HM, 7HN, 7HF, 7EF, 7EM, 7EN) 2.0 BiTDI 4motion 09/2009 -. VW MULTIVAN V (7HM, 7HN, 7HF, 7EF, 7EM, 7EN) 2.0 TDI 4motion 09/2009 -. Skoda SUPERB I (3U4) 1.8 T 1.8 L / 1781 cc 2001.12 - 2008.03 110 Kw / 150 HP. Skoda SUPERB I (3U4) 2.0 2.0 L / 1984 cc 2001.12 - 2008.03 85 Kw / 115 HP. Skoda SUPERB I (3U4) 2.8 V6 2.8 L / 2771 cc 2001.12 - 2008.03 142 Kw / 193 HP. VW VENTO (1H2) 1.4 11/1991 -. VW VENTO (1H2) 1.6 09/1992 -. VW VENTO (1H2) 1.8 11/1991 -. SEAT IBIZA Mk II (6K1) 1.4 i 09/1993 -. SEAT IBIZA Mk II (6K1) 1.6 i 09/1994 -. SEAT IBIZA Mk II (6K1) 1.8 i 03/1993 -. Skoda 1J0919050B , 1K0919050G , 3C0919050F , 3C0919050E , 4B0906087AT , 3C0919050 , 3C0919050G , 4B0906087AN , 3C0919050D . Seat ALTEA (5P1) 1.6 TDI 1.6 L / 1598 cc 2009.10 - 77 Kw / 105 HP. Seat ALTEA (5P1) 1.6 TDI 1.6 L / 1598 cc 2010.11 - 66 Kw / 90 HP. Fuel Type: Petrol. VW PASSAT (3A2, 35I) 1.6 10/1994 -. VW PASSAT (3A2, 35I) 2.0 02/1990 -. VW PASSAT (3A2, 35I) 2.0 16V 01/1994 -. VW PASSAT (3A2, 35I) 2.0 Syncro 10/1990 -. VW PASSAT Variant (3A5, 35I) 1.6 07/1994 -. VW 191906091L. VW 191906092F. SEAT TOLEDO I (1L) 1.8 i 11/1993 -. SEAT TOLEDO (1L) 1.6 i 05/1991 -. SEAT TOLEDO (1L) 1.6 i 01/1993 -. SEAT TOLEDO (1L) 1.8 i 05/1991 -. SEAT TOLEDO (1L) 1.8 i 11/1993 -. BLS Saloon. 11/2010 1968 105 143 CBAC Saloon. CBAA Saloon. CBBB Saloon. 05/2007 1968 88 120 BWV Saloon. 07/2010 1968 81 110 CBDC Saloon. CBAB Saloon. 07/2010 1968 125 170 CBBB Saloon. OEM Numbers: 1094199 / 1108767 / 1108768 / 1GD919051B / 1J0919051B / 1J0919051C / 1J0919051E / 1J0919051H / 1J0919051K / 1J0919087C / 1J0919087D / 1J0919087H / 3B0919051B / 3B0919051C / 6N0919087F / 6X0919051C / 6X0919051E / 6X0919051G / 6X0919056 / 6X0919056E / 6X0919056G / 6X0919087B / 7M0919051H / 7M0919051J / 7M0919087B / 7M3919051 / 7M3919051A / 96VW9H307BB / 96VW9H307CB / YM219H307CA / YM219H307DA. Fuel Type: Petrol. SEAT INCA (6K9) 1.6 i 11/1995 -. VW PASSAT Variant (3A5, 35I) 1.8 02/1988 -. VW PASSAT (3A2, 35I) 1.8 08/1990 -. VW PASSAT (3A2, 35I) 1.8 02/1988 -. VW PASSAT Variant (3A5, 35I) 1.8 08/1990 -. VW TRANSPORTER T4 Box (70XA) 2.0 07/1990 -. VW TRANSPORTER T4 Box (70XA) 2.5 11/1990 -. VW TRANSPORTER T4 Bus (70XB, 70XC, 7DB, 7DW) 2.0 09/1990 -. VW TRANSPORTER T4 Bus (70XB, 70XC, 7DB, 7DW) 2.5 11/1990 -. SKODA 1J0919050. SKODA OCTAVIA (1U2) 1.9 TDI 09/2002 -. SKODA OCTAVIA Combi (1U5) 1.9 TDI 09/2002 -. VW BORA Estate (1J6) 1.9 TDI 05/1999 -. VW BORA Estate (1J6) 1.9 TDI 09/2000 -. VW BORA Estate (1J6) 1.9 TDI 05/2001 -. 10/1987 1781 79 107 RD Saloon. VW JETTA II (19E, 1G2, 165) 1.8 08/1985 -. VW JETTA Mk II (19E, 1G2, 165) 1.8 08/1985 -. VW 191906092D. Will this item fit your vehicle?. Give us your trust and we'll help you to repair or update your car! APL Flatbed / Chassis. IMPORTANT NOTES: Engine Code: AEX; Not for engine code: ABD. ABD Hatchback. 08/1997 1390 40 55 AEX. 02/2002 1390 44 60 ANW. AEX Hatchback. 08/1997 1390 44 60 ABD. AVZ Hatchback. VW GOLF IV (1J1) 1.9 SDI 08/1997 -. AQM Hatchback. VW GOLF Mk IV (1J1) 1.9 SDI 08/1997 -. Will this item fit your vehicle?. Our goal is to make your choice easier and save your money. Give us your trust and we'll help you to repair or update your car! Fuel Type: Petrol. VW VENTO (1H2) 1.6 09/1992 -. VW VENTO (1H2) 1.6 10/1994 -. VW VENTO (1H2) 2.0 11/1991 -. VW VENTO (1H2) 2.8 VR6 01/1992 -. VW 1H0919651L. VW 1H9919051A. VW 1H9919051L. Sensor Type: - Lever Sensor. If the item is used, we are unable to accept the goods back. IN DOUBT WHETHER IT WILL FIT?. AND WE WILL DIRECT. NUMBER BEFORE BUYING. We always will do the best for both sides to be happy! MAGNETI MARELLI IN TANK FUEL PUMP MAM00028. V40 Estate (VW) / 1995.07 - 2004.06. S40 I (VS) / 1995.07 - 2003.12. Our compatibility list of vehicles that could be fitted with this part is based on a catalogue information and it gets regularly updated to best of our knowledge. AUY Hatchback. 06/2005 1896 110 150 ARL Hatchback. 09/2010 1896 77 105 BSW Hatchback. 06/2005 1896 74 101 ATD Hatchback. 06/2005 1896 96 130 ASZ Hatchback. CLCB Hatchback. AHU Hatchback. CFGB Hatchback. IMPORTANT NOTES: Engine Code: AEX; Not for engine code: ABD. ABD Hatchback. 08/1997 1390 40 55 AEX. 02/2002 1390 44 60 ANW. AEX Hatchback. 08/1997 1390 44 60 ABD. AVZ Hatchback. 04/1999 1984 85 115 AGG Estate. VW CADDY III Box (2KA, 2KH, 2CA, 2CH) 1.9 TDI 4motion 11/2008 -. VW CADDY III Estate (2KB, 2KJ, 2CB, 2CJ) 1.9 TDI 4motion 05/2008 -. 08/2010 1896 77 105 BLS Estate. Will this item fit your vehicle?. Give us your trust and we'll help you to repair or update your car! VW 1J0919087J. SKODA FABIA I (6Y2) 1.0 12/1999-08/2002 996 37 50 Petrol Engine Hatchback. SKODA FABIA I (6Y2) 1.2 07/2001-04/2007 1198 40 54 Petrol Engine Hatchback. SKODA FABIA I Saloon (6Y3) 1.2 01/2003-12/2007 1198 47 64 Petrol Engine Saloon.